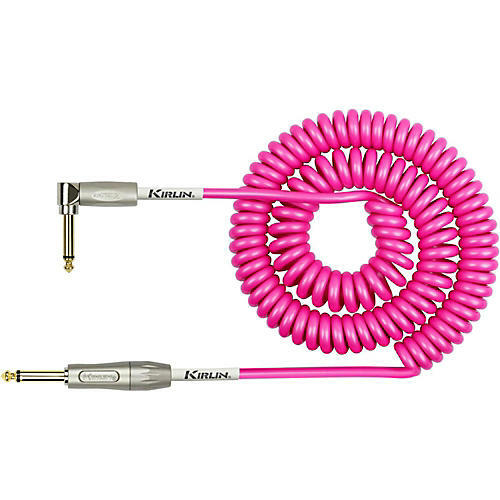 Kirlin's Premium Coil high performance cables are exclusively designed for live performance. Premium Coil features one 22-gauge OFC conductor, PE insulation, conductive PVC shield with 100% coverage, and OFC braided shielding with 95% coverage. Back in the day, everyone used coiled cable on stage. It relieves you of the joys of tripping over your cable, as the cable gets picked up off the floor by the coiling when you step away from your amp. Why did it fall out of favor? Dunno. Try it! It might end up being your preference. Coiled cable is the way to go. Order today.